Leonisia Marquez obituary. Carnes Funeral Home. 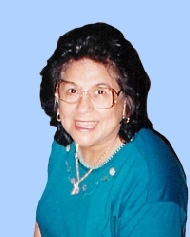 Leonisia Marquez passed away peacefully on February 28, 2016 in Texas City, Texas. She was born in Needville, TX on October 9, 1929 to parents, Jesus Garza and Felizitas Rocha. She was a longtime resident of Galveston, TX and retired from UTMB after 25 years. Survived by spouse, Jose Marquez; children, Aurora Hernandez, Julio and Janie Esparza, Paul Esparza, Dolores and John Richards, Patricia Romero, Rachel Rios, Andrew and Reyna Rios, Amanda and Timothy Gilbert as well and numerous grandchildren and great-grandchildren & nieces and nephews. Acting as Pallbearers will be Tony Romero Jr., Brandon Shives, Michael Rios, Joshua Shives, Anthony Esparza, Ronnie Esparza, Gilbert Carrasco and Andres Hernandez. Your guests are invited to share in the Celebration of Life Visitation for Leonisia from 5-7:00 p.m., with a 7:00 p.m. Reciting of the Rosary on Wednesday, March 2, 2016 at Carnes Funeral Home, 3100 Gulf Freeway, Texas City, TX 77591. Funeral Mass will be Celebrated 11:00 a.m., Thursday, March 3, 2016 at St. Mary of the Miraculous Medal with Rite of Interment to follow at Galveston Memorial Park in Hitchcock, TX. The family would like to express appreciation to all the staff and family members who provided care during Leonisia’s life journey.